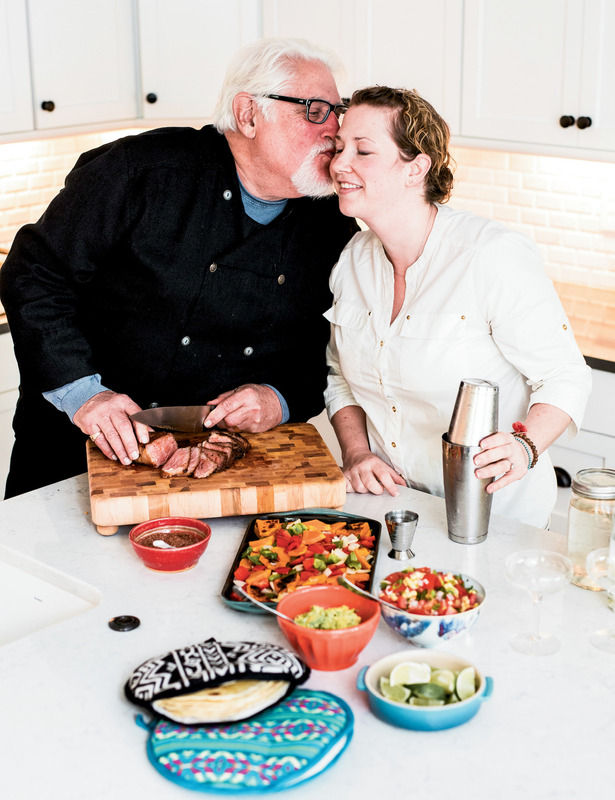 MariElena and her father, Robert Dickson, have always bonded over food. “I didn’t tell my dad I wanted to go to culinary school until I was certain, because I knew he’d be all in,” she says. MariElena Raya began her culinary career working in her dad’s restaurant, Robert’s of Charleston. She keeps busy running The Gin Joint with her husband, Joe, but makes time for family taco night. For easy margaritas, shake tequila, Cointreau, lime juice, and simple syrup with ice and strain. To make tortillas more “bubbly,” MariElena suggests forming the dough into balls and letting them rest for 20 minutes before rolling them out into disks. 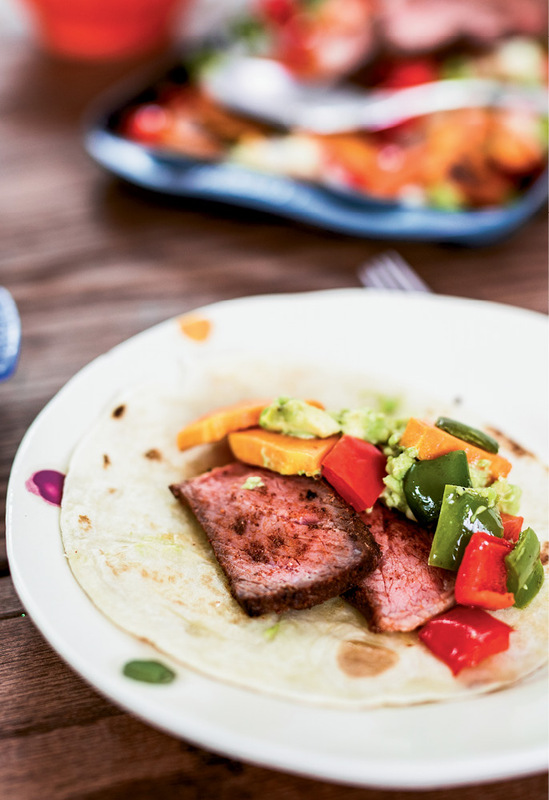 Taco night at the Raya household is a time to get creative: seasoned veggies and beef, guacamole, and pico de gallo are all fair game for filling. For a vegetarian taco, MariElena likes stuffing a tortilla with thick slices of spiced butternut squash. Freshly made tortillas are filled with seasoned beef, squash, peppers, and guacamole. 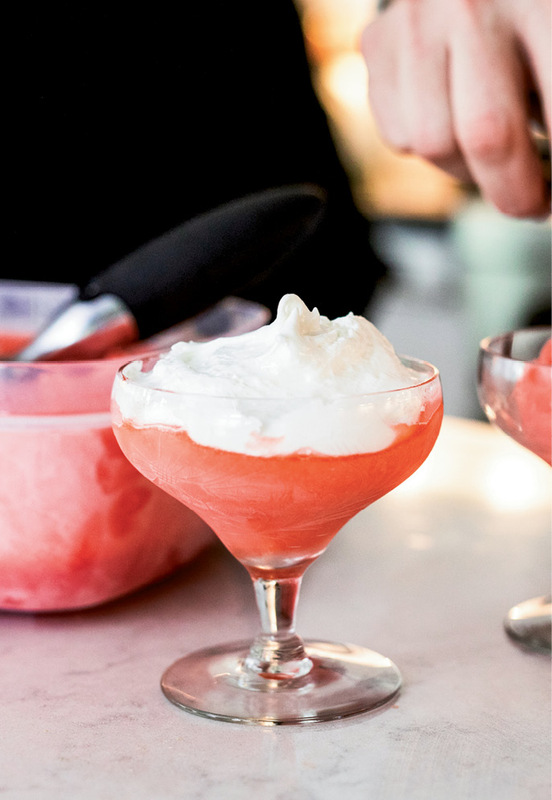 MariElena scoops strawberry elderflower sorbet into glasses and then tops the desserts with marshmallow fluff. The sticky stuff combines well with the smooth, frozen treat. The alcohol in the recipe keeps the sorbet from freezing rock hard, making it easy to scoop. As the proprietors of speakeasy-style bar The Gin Joint, as well as the craftsmen behind Bittermilk mixers and Tippleman’s syrups, the pair has plenty to bring to the conversation. Then, too, there’s catching up on the chickens and the garden growing on their sizable John’s Island homestead. Often seated around the table are the couple’s three children, Hudson (who’s six), Juniper (four) and Mitzi (six months), as well as Joe’s grandfather, Don, and MariElena’s parents, Pam and Robert Dickson (aka “The Singing Chef”). 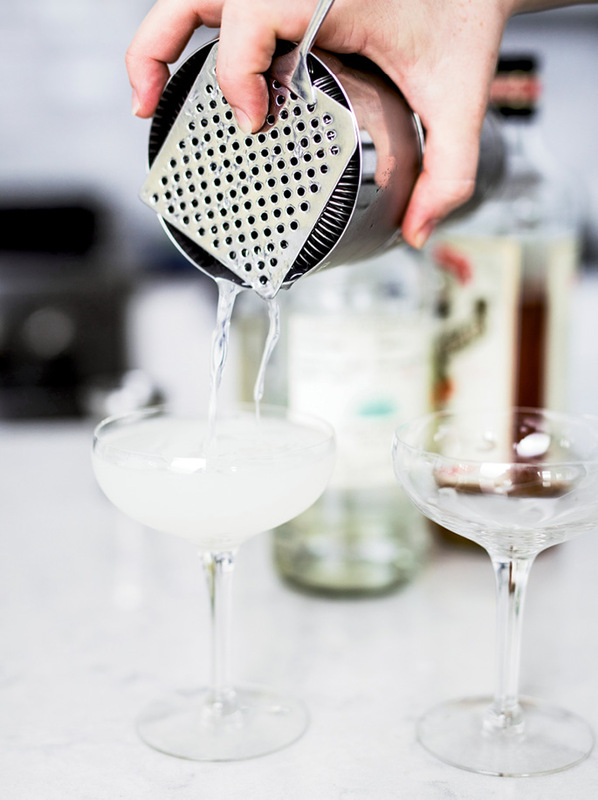 When meal preparation time folds into happy hour at their home, the cocktail connoisseurs mix straightforward margaritas. 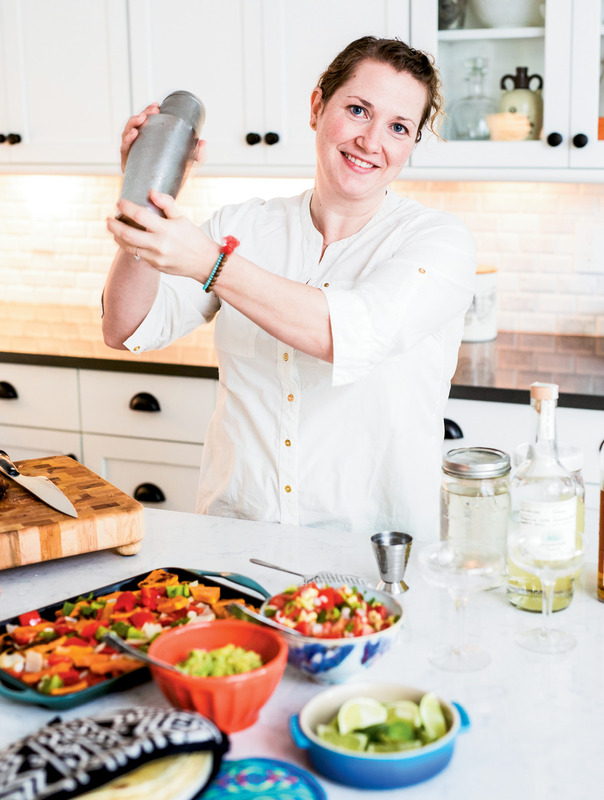 “Silver tequila has a pure flavor that goes well with food,” says MariElena, who shakes the clear liquor with Cointreau, lime juice, simple syrup, and ice. 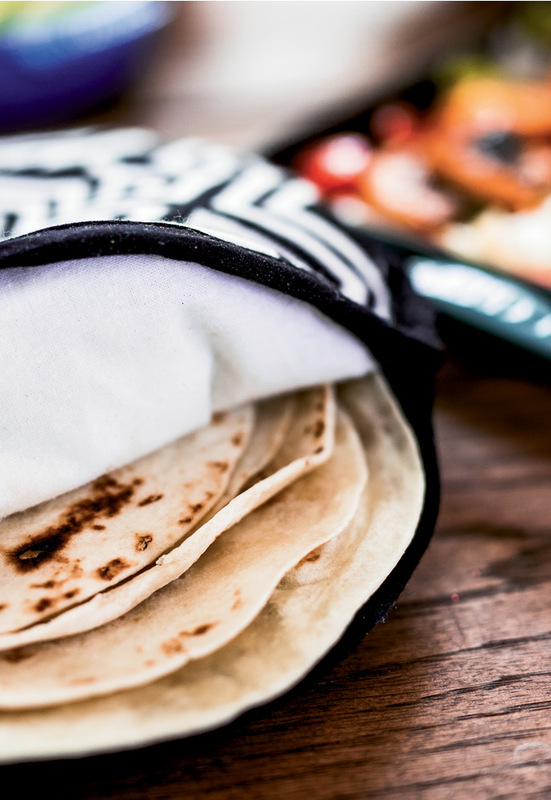 Joe’s Mexican heritage means fresh tortillas frequent their dinner menu; packaged versions simply won’t do. 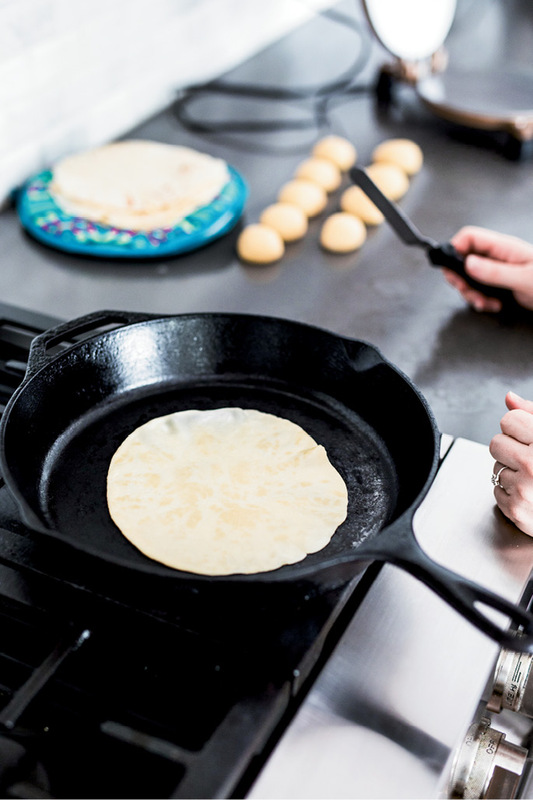 “Store-bought tortillas have a plastic taste and tons of preservatives, while homemade tortillas are bubbly and fluffy,” says MariElena, who uses her mother-in-law’s recipe, though she skips hand-rolling the dough in favor of a tortilla press. 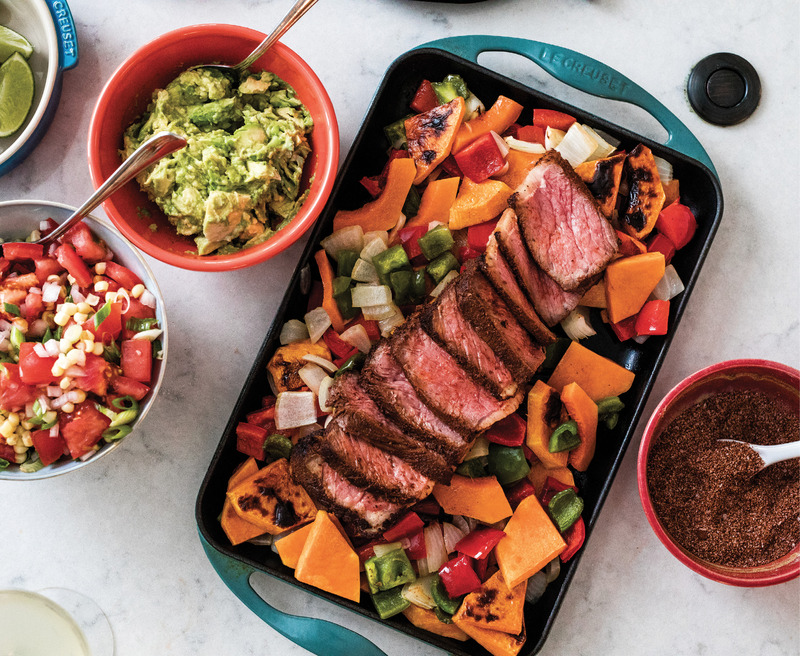 At the table, utensils are optional—the family likes to rip tortilla bites to scoop up chicken, steak, shrimp, and fish, all seasoned with a homemade spice blend. “Premade taco seasoning is stuffed with fillers and is expensive for the amount you get,” MariElena adds. Instead of buying single-use packets, the Rayas keep their own large batches of taco mix jarred in the pantry. Their blend is mild (read: kid-friendly), but adding a bit of cayenne powder can kick up the heat. 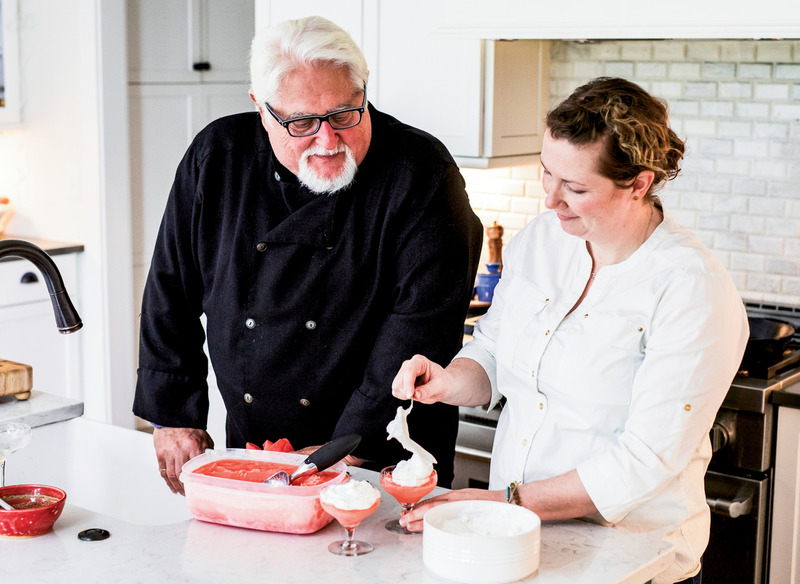 After tucking the kids in, MariElena scoops out sundaes for adults: sorbet spiked with elderflower liqueur, topped with homemade marshmallow fluff. If the combination seems unusual, it’s best to trust the maker here. At The Gin Joint, the Rayas offer a “Bartender’s Choice” drink option, where diners can pick two words from a list to guide the mixer (for example, “fizzy” and “tart”). Likewise, MariElena’s dessert is sweet and sticky, like an adult version of a favorite ice-cream-truck treat. Works: She and Joe co-own The Gin Joint, Bittermilk, and Tippleman’s. Weekend Tradition: “For easy weekend breakfasts, we like to fill tortillas with an assortment of eggs, sausage, and skillet-roasted potatoes,” says MariElena.